THR helps companies deverticalize by outsourcing or centralizing the management of tool cribs, stock rooms, and related functions. We do this by working closely with each client thereby allowing them to focus on their core functions. We are independent from any distributor or supplier so there is no interest conflict or requirement to purchase materials from selected vendors. Our goal for our clients is to increase employee value, maximize capital, and manage inventory efficiently to achieve positive results. Results that reduce expenses, increase profit, and increase the overall value of the company. We can manage your inventory on-site or remotely to insure that proper stocking and purchasing levels are being maintained. You can centralize purchasing for multi-plant operations allowing for better pricing levels and item sharing. You can use accurate data to plan better for upcoming jobs. We can link your entire manufacturing operation to create an efficient, productive, cost-effective, smooth operating unit. We search for long-term business partnerships that allow both companies to be more profitable, and reap maximum benefits. Through our vast experience, forward thinking strategic vision, and passionate commitment to client satisfaction we take the time to get to know your business and learn to understand your goals and objectives. Through this understanding we are able to work towards inventory accuracy, efficiency, productivity, and cost control. We systematically study the processes, inventory, vendors, and habits of all involved to determine if a partnership is beneficial to both companies. 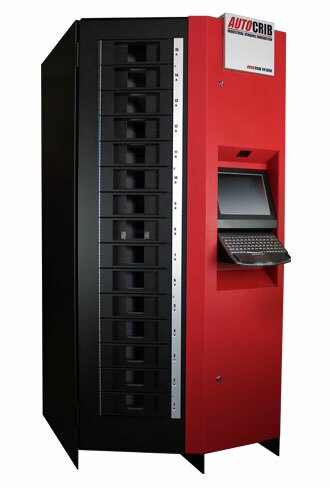 Since 1998 we have worked with industrial vending systems. With over two decades of experience in industrial vending, and vendor managed inventory we are uniquely qualified in an industry that has yet to reach maturity. Our company can assist your business in attaining efficient inventory usage, reducing shrinkage, and significantly reducing purchasing costs. On average, inventory management solutions can reduce your costs by 30%. The current economic climate is the most difficult manufacturing has seen in the last 30 years. Costs must be cut, but you need to keep the supply chain flowing. We can reduce your costs while keeping your workers supplied with the critical supplies they need. To begin reducing your costs, and streamlining your supply chain contact us today!